According to the philosopher – and former sufferer of psychosis – Wouter Kusters, wisdom lies behind madness. There are multiple ways by means of which useful knowledge can be gained from mental illnesses. For instance, one may be able to formulate deep insights about oneself from the talks about one’s own personal road to insanity. In addition, mental illnesses can teach us important lessons about our own society. According to this doctrine, madness is not so much a signal of individual mental health problems. Instead, it signifies problems on a societal level. Like canaries in a coal mine, those with psychotic disorders alert us of a society in which interpersonal relationships are suffocating. According to this view, psychosis is more of a vision than a confused malfunction of the brain. It is a healthy reaction to a sickening environment (such a conception of mental illness was also advanced in Jurek’s article for this month’s issue). From this point of view, it follows that we can unravel certain negative and debilitating aspects of our society if we can adequately describe what ails those who have gone mad. In a sense, those with mental problems can pinpoint the weaknesses and evils of the society in which they live. Let us consider, for instance, the case of a mental illness that has, by and large, disappeared by now. An illness that has prevailed within a certain time frame and geographical area is called a transient mental illness. Such a type of madness is not some mental malfunction that comes and goes in this or that patient. It is a type of madness that exists only at certain times and places. In Mad Travellers, the philosopher of science Ian Hacking chronicles the story of the transient mental illness called fugue. It began one morning in July 1887, when a young man arrived crying in a ward in the ancient Bordeaux hospital of Saint-André. His name was Albert Dadas. He was 26 years old, and the first fugueur. Albert became notorious for his extraordinary expeditions to Algeria, Moscow, Constantinople and other places. While those expeditions are interesting in their own right, there was something else remarkable about them; they were made, in a certain sense, unconsciously. Albert traveled obsessively, as if under a spell. While he traveled, he often did not carry identity papers. Indeed, he did not know who he was or why he traveled, and he only knew where he was going next. When he arrived at a certain location, he had little recollection of where he had been. It was only under hypnosis that Albert could recall lost weekends or even years. As word about his travels spread, Albert initiated a small epidemic of compulsive, mad voyagers. At first, hysterical fugue was diagnosed only in Bordeaux. Soon, however, it spread to Paris. Later, people all around France were found who supposedly suffered from this mental disease. It subsequently spread to Germany, too. 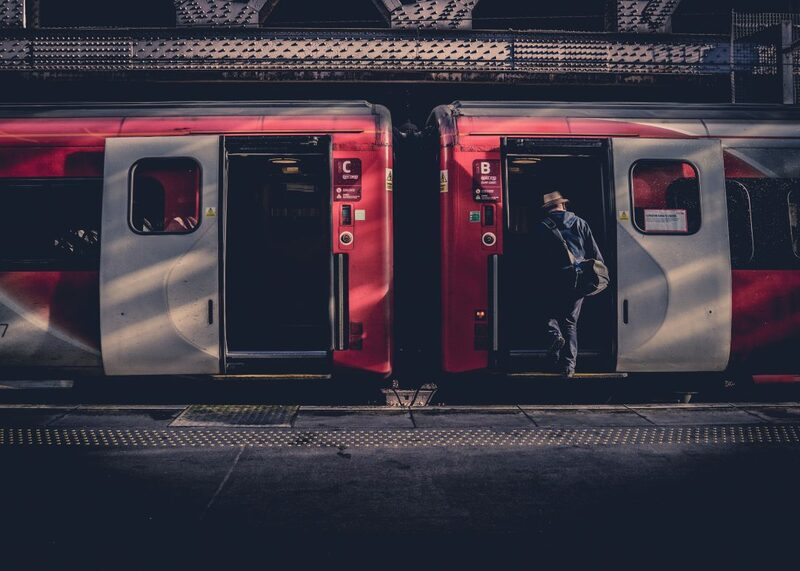 It is interesting to note, however, that people have been making strange and unexpected trips – often in states of obscured consciousness – for a long time. 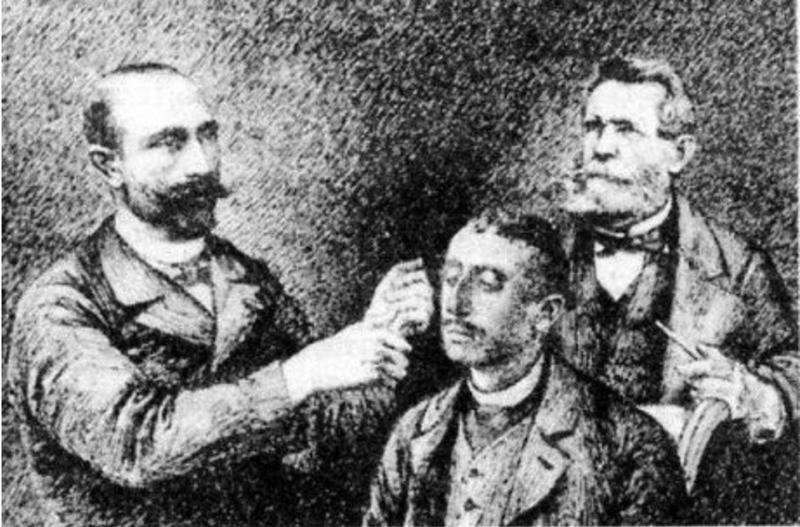 Only in 1887, when the young medical student Philippe Tissié described it in his thesis, did it arise as a specific, diagnosable type of insanity. Why did the identification of this type of mental illness happen to take place specifically during the end of the 19th century in France? Why did it spread so rapidly? And, perhaps equally important: why did the phenomenon fade away after a while? The last conference on fugue took place in Nantes, 1909. Between 1887 and 1909 fugue was a significant, if transient, mental illness. And then it was no more. To be able to grapple with these questions, we must delve into Hacking’s notion of the so-called ecological niche. 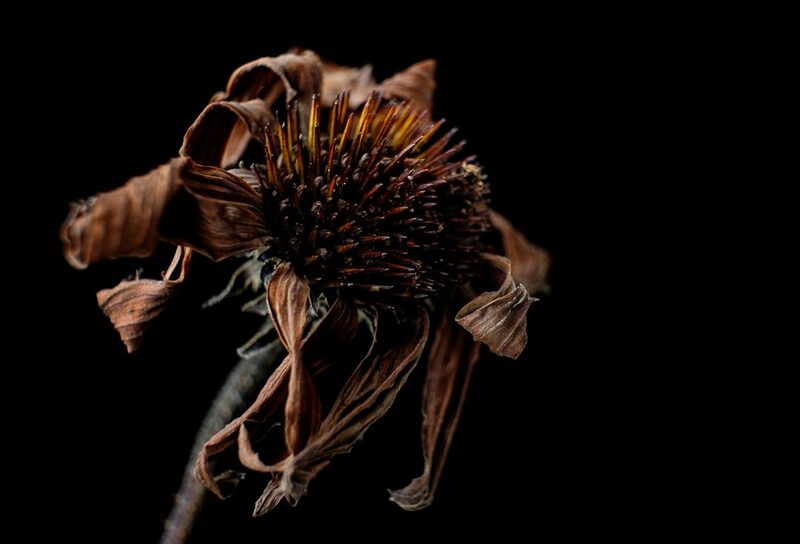 It is a metaphor for a framework that allows us to understand why certain types of mental illness and some arrangements of symptoms proliferate at some times and places, while they are absent in others. The ecological niche is a concatenation of a large number of diverse types of elements – including social factors, biological origins of the patient, and medical viewpoints – in which some particular types of illness can thrive. We call these components vectors. Please note that just because a mental disease is transient, it does not mean it is not “real.” It is never merely a social construct. These people genuinely suffered. There are two possibilities for the transient aspect of the disease. First, it could merely mean that the symptoms of the disease are later subsumed within other mental illnesses, rendering the diagnosis of the old disease impossible. On a related note, our ideas about what constitutes a mental illness change over time. Homosexuality used to be typified as a mental disease, but not anymore. Second, it could mean that the vectors supporting the niche within which it thrives at some point erode or even disappear. This makes the disease possibly less prevalent, or its symptoms less severe. Societal influences can amplify or diminish the severity of mental diseases that have biological origins, or even account for their existence. In the case of fugue, its ecological niche consists of four principal vectors: cultural polarity, release, observability, and medical taxonomy. Let us examine the first two of these vectors. By cultural polarity, Hacking means that fugue fitted between two important social phenomena in fin de siècle France: romantic tourism and criminal vagrancy. The second half of the 19th century was, among other things, the era of popular tourism. It was not limited anymore to the highly affluent aristocrats. With the advent of a widespread railway network across Europe, travel agencies, and efficient, steam-powered trains, tourism became available to the masses. However, Albert and most other fuguers were not part of the middle class. They were members of the working poor. As such, they were not able to take part in touristic activities like their wealthier contemporaries. Fugue literally provided a way out. It allowed relatively poor men (for they were almost always male) to escape and see the world. While tourism was the virtuous side of travel, its polar cultural opposite was vagrancy. Vagrancy was seen through the lens of France’s degeneracy program. This was the set of beliefs that identified the decline of France compared to Britain and Germany, and it was exacerbated by France’s loss of the Franco-Prussian war of 1870 and massive unemployment during the Belle Époque. It was connected with low birth rates, suicide, prostitution, homosexuality, and insanity. To the French people in the 1880s, the vagrant signified racial degeneracy, no reproduction, or reproduction of those very features that the French race ought to get rid of. Thus, tramps came to be seen as a critical social problem. In 1885, a fierce set of anti-vagrancy laws was passed. Vagrants were degenerates and should be medicalized. In this regard, it is easy to see that many fugueurs came to be seen as vagrants. They were often seized by the police, who claimed they had found yet another antisocial vagabond. However, psychotherapists insisted fugueurs were afflicted by a very real mental affliction and should be treated as such. Thus fugue became part of a power struggle between medical men on the one hand and police on the other. The doctors relieved those with fugue from their individual responsibilities, for their behavior resulted from mental illness. Therefore, fugue thrived between two cultural opposites. On the one hand, fugue became a pathological variant of tourism for those who could not afford more customary ways of travel. It provided men with a kind of release from their duties and boring lives back home. On the other, fugue hovered just above crime. Those afflicted escaped harsh penalties for vagrancy, for a type of insanity they could not control that caused their behavior. Those in the medical establishment protected the status of fugue as a form of madness, thereby ensuring its legitimacy. One of the reasons fugue did not continue to be a significant mental disease was the gradual disappearance of the vagrancy scare and its corresponding overarching degeneracy program. Furthermore, tourism itself became more and more entrenched in French society. Its novelty had worn off. Thus, two important vectors of the ecological niche for fugue disappeared. Finally, the definition and the symptoms of hysterical fugue were subsumed within a new framework of mental illnesses. By 1990s criteria, some of those old fugueurs probably suffered from head injuries, some from temporal lobe epilepsy, and some from a new disease called dissociative fugue. We will not go into the details of the process by means of which fugue gradually died out. For our discussion of the topic, it suffices to note that a certain ecological niche allowed fugue to thrive in a certain time and place. 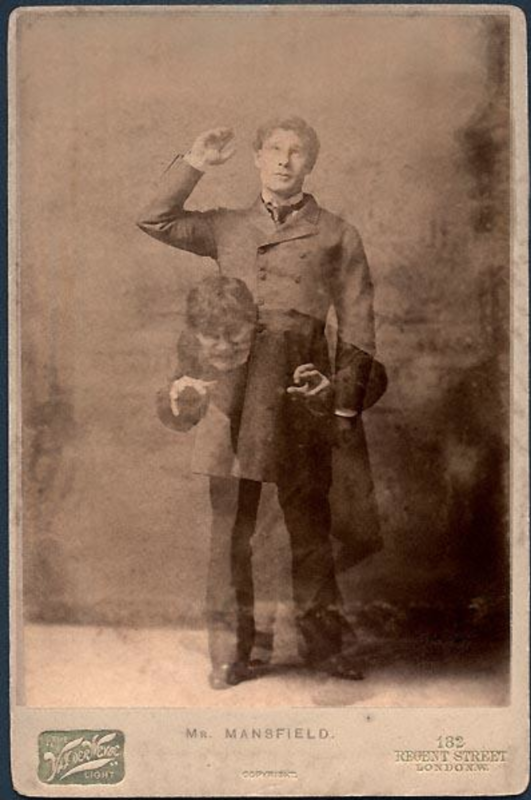 When the niche disappeared, so did the transitory mental illness as a species within it. We might wonder what kind of ecological niche(s) we can observe nowadays, allowing contemporary types of insanity to flourish in our society. The cultural polarity vector of the ecological niche for fugue represents the basic premise of psychoanalysis:; mental illness concerns the collision of desire and its prohibition. The working poor in 19th century France longed for fantastic journeys, but they were inhibited by the duties they had to fulfill for their families, and by limited financial means. They found their release in quasi-criminal, mad travel. This conflict between desire and its prohibition concerns the demands of society that go against the desires of the individual. What kinds of societal demands are nowadays imposed on us? In On the new discontents of civilization, the philosopher and psychoanalyst Paul Verhaeghe observes that we currently live in a so-called neoliberal meritocracy. Neoliberalism refers to the idea that every market regulates itself, and should, therefore, be steered as little as possible, in order for everyone to get equal opportunities. While this may sound like an admirable arrangement, the model often results in very negative consequences for people in places where it is implemented. In a meritocracy, everyone is responsible for his or her own success, and for his or her own failure. It propels the myth of the self-made man. The Dutch government adopts this line of reasoning. They even radically extend it to domains vastly beyond the reach of the economic sphere. People are held accountable not only for their own welfare (resulting in enormous economic disparities), but also for the wellbeing of nature, the environment and the dangerous effects of climate change. Interestingly enough, the government often turns a blind eye to polluting companies. People and companies are not held to the same standards. In the 1990s, the Dutch government’s policies were redolent of neoliberal ideology. 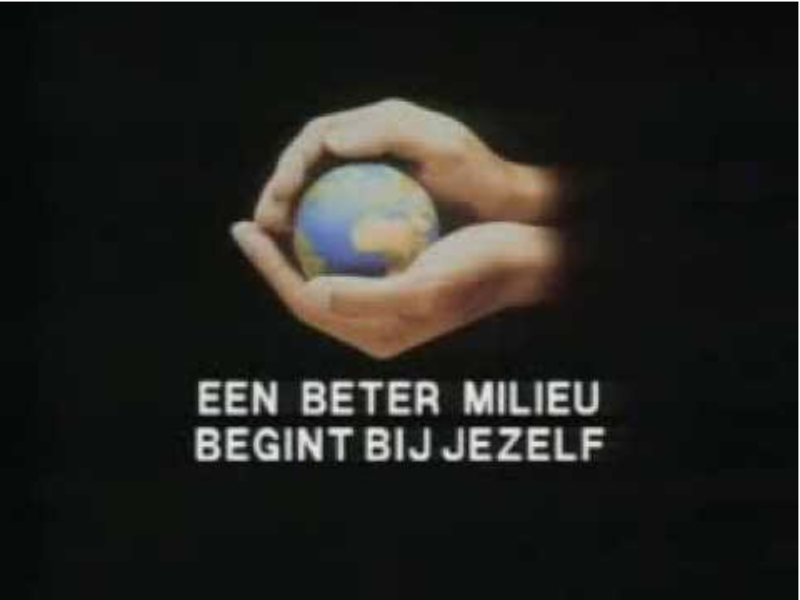 Within that context, the governmental organization Postbus 51 formulated the slogan, “Een beter milieu begint bij jezelf” (A better environment starts with yourself). On the surface, it is a rather innocent statement, encouraging people to be more environmentally aware. However, it is an insidious psychological trick, emphasizing our individual responsibilities with regards to climate change. In the wake of carbon-induced rising temperatures, we are obliged to behave as formidable, responsible model citizens. We must live frugally, emitting as little greenhouse gasses as possible. We must turn off the lights, drive as little as possible, and re-use our plastic bags. We are obliged to insulate our houses, go vegan, and replace our gas stoves with their electrical counterparts. Yet at the same time, we must behave as frantic consumers, supporting the companies that act as pillars of the neoliberal economy. It is paramount we buy biological eggs, fair-trade chocolate, and recyclable clothes without animal fur. We are encouraged to buy plane tickets, but should also pay a carbon tax for the resulting emissions. Living green should be our number one priority, never mind the prohibitive costs and the difficulties it imposes on our lives. Both of these contradictory lines of thinking emphasize the same message, if disastrous climatic consequences unfold, you are to blame. We, as individual citizens, are held accountable for the rising sea levels and massive ecological devastation. The government’s slogan capitalizes on our feelings of guilt and shame. As individualized people, we all carry it on our own. Individuality has led to less solidarity. This makes it even harder to bear. It is perhaps not surprising that in such a social climate, new transient mental illnesses arise. 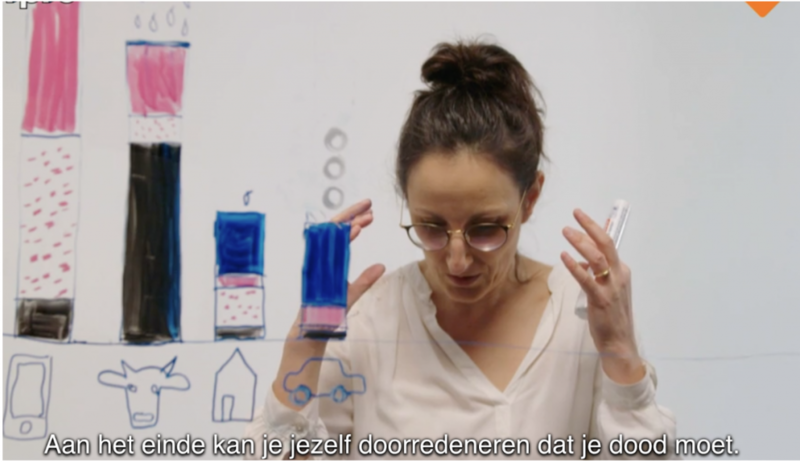 In the Tegenlicht episode “Worsteling van de Groenmens“(Struggle of the Groenmens), people are shown to be struggling with their perceived individual responsibilities to save the world from climate catastrophes. One poignant example is Babette Porcelijn. At one point during the documentary, she confesses that she even had suicidal thoughts. After all, it would be best for the climate if one were not alive anymore. If you kill yourself, you cannot cause the environment and the climate any more harm. This extreme compulsion to alleviate the harmful consequences of individual emissions on the climate and the environment was coined “ecorexia”. I believe this neologism hits the nail on the head. It is an allusion to the clothing industry that sets unrealistic beauty standards for women around the world. This industry thereby causes widespread insecurity among women, and in severe cases it results in anorexia. Both anorexia and ecorexia are examples of symptoms of greater societal problems. Akin to the clothing industry, the Dutch government and the neoliberal meritocracy it embraces provide the base for the ecological niche in which ecorexia can proliferate. Oddly enough, psychologists and medical experts have not systematically studied it yet despite multiple cases already being reported (here, here, and here). I think it is only a matter of time before the diagnosis of this mental ailment will become endemic to Western culture. As we have seen from our discussion of fugue, however, mental illnesses can be transient. Ecorexia, too, could be a case of such a disease. Just as it arrived within a certain ecological niche, it could be one day be eliminated, too. The niche counts the neoliberal meritocracy, government propaganda, and a highly politicized and heated debate about climate change among its vectors. Babette Porcelijn is our modern-day Albert Dadas. From her we have learned that our current approach to climate change mitigation is harmful to regular people, possibly even lethal. We ought to change our society in such a way that we can remove the vectors supporting the niche for ecorexia. First and foremost, we should replace the neoliberal meritocracy with a more humane societal system. A system in which cooperation, solidarity, and interdependency are stressed. This will allow for the sharing of the burden of responsibility. Furthermore, the focus of responsibility for climate change should be transferred from citizens to large corporations. People’s behavior is not the main cause of climate change. Between 1751 and 2010, 63% of all global industrial gas emissions came from just 90 companies. In the Netherlands, households pay almost two-thirds of environmental taxes, while they emit only one-fifth of the total amount of carbon dioxide. It is not the people, but the large companies that are largely to blame. The government should hold them responsible and tax them accordingly. Hopefully, this will alleviate Babette’s symptoms, and minimize the possibility of other people struggling with them in the future. As a mother I can now see that by the age of 2 a child’s temperament and personality starts to show. I believe that when a child is born into this world, he or she comes with a certain temperament, a blueprint of potential. I believe that very much like a plant, a human being needs the right kind of nourishment to flourish. Just like plants, no two humans are the same. While a cactus doesn’t need much water, a tropical plant needs lots of water to thrive. Similarly, different types of humans need different types of nourishment in terms of friends, surroundings, and activities. Some humans are extroverts, some introverts, and some ambiverts. If the right circumstances are not provided for a human being, or trauma happens without enough time for recovery, mental illness can develop. On this issue, the nature-nurture debate has been going on for years and the big question is: Are we really born with mental illnesses or are they made? After years of observation and work as a social worker, along with my personal experience of mental illness, I have come to believe that most “mental illnesses” are made (with the exception of spiritual awakenings that seem to happen in some people who go through depression or a burnout). I’ve met this woman, now in her thirties. She is articulate, beautiful, and if you look into her eyes you see a bright sparkle, a lust for life. She also has a dark side. She stopped believing in herself. She is very insecure. 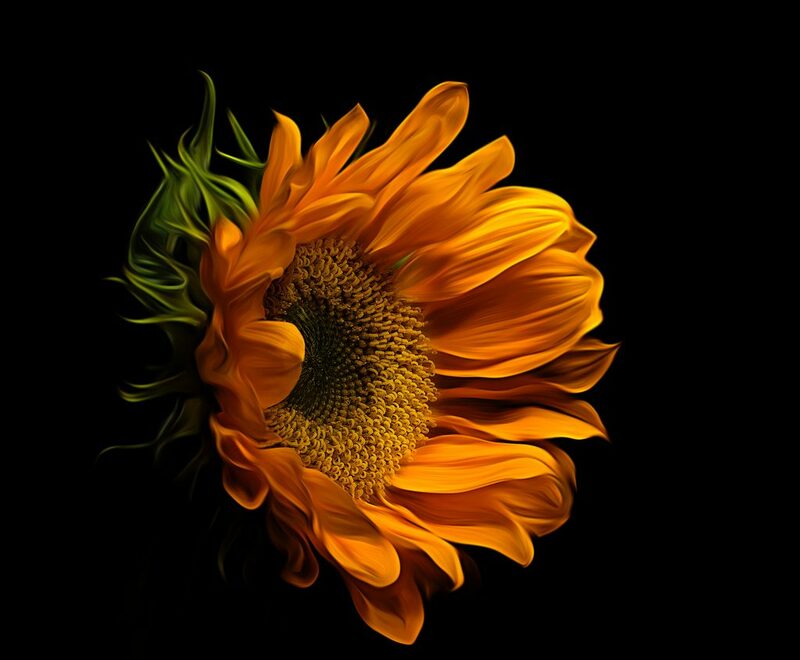 While she has a very dominant personality, her dark side prevents her from fully coming into blossom. She has no control over this dark side (yet) as it is still very much in her subconscious, carefully protected by a huge fear. She knows it, she sees it, but the fear of really stepping into her power prevents her from becoming all that she can be. Maybe she is a late bloomer? Maybe she is deeply hurt? I think it’s the latter. Go back in time, say around 30 years ago. The girl was born into a family with parents who suffered from childhood abuse. Because of their abusive upbringing, the parents developed disorders themselves, such as OCD and PTSD. However, they never spoke of such a thing, not to each other nor to anyone else. It was all swept under the rug. So imagine this girl, sensitive and bright, born into an environment of shame and silence. She could sense what was going on, and could even express it to her parents, but was shamed for voicing the pain that was hidden in her family; even blamed for it. Being intuitive and smart, she could see and feel things that others would not notice. Now, take this gifted child into a school system that wasn’t ready for kids like her. Unlike the numerous children being labeled as having ADHD today, labeling was a lot less specific back then. Kids were just labeled as a “problem child” or “difficult”, especially when the child happened to be a female. Additionally, the school this girl went to was in a poor neighborhood. A neighborhood where intellect wasn’t valued very much. So although she was very smart, her school failed to recognize it. Her mother did, but no one believed her. At the time, this school was run by people who had positions but no real passion for teaching. They were the kind of people who used their power to make themselves feel better, not for the sake of teaching children or helping them grow. They were just in it for the paycheck and wanted children to follow their orders instead of encouraging them to thrive. So instead of getting extra work at school, the girl was told to clean closets. This girl was not the kind of girl who would shut up and listen to someone saying: “Because I say so”. This girl happened to be a whistleblower, saying out loud what she saw and perceived. We all know what happens with whistleblowers though – they get punished. Instead, they deserve a stage, since they are among the only people courageous enough to stand up against injustice. So, this girl has been going through years and years of punishment and shaming, while also growing up in a culture of bullying (in her school). She found out very quickly that she’d better adapt to survive. So, she changed herself to fit in. By the time she reached puberty, she lost the core of her being. She became depressed because she felt like an alien. She felt like a kid who was forced into an adult world she wasn’t ready for. The only thing she knew she could do well was studying, so she studied hard for good grades. But emotionally, she didn’t feel connected with her classmates. Because she was both troubled at home and in school she slowly sank deeper into a depression. She didn’t know who she was anymore and started hating herself. Why couldn’t she just be normal? Why couldn’t she just fit in? Why was she feeling the way she felt? Where did it all come from? She channeled all her self-loathing into cutting herself. That was the only way she could cope, carefully hiding it from everyone by wearing long sleeves all the time. Insecure and unable to proceed, she discovered marijuana. It brought temporary relief. So much relief that she started missing school for it; she got kicked out of high school by the time she was 16, and out of her home a year later. Did she end up in a better environment? Yes and no. She got the freedom she wanted, but got trapped in an abusive relationship full of violence and drugs, experiencing more mistreatment on top of what she already went through in her childhood. This girl is now a fully-grown woman. A woman who has been diagnosed with about three different types of mental illnesses. A woman who has undergone extensive therapy but never got to the bottom of her dark side. A woman who doesn’t know how to relax or feel rested, as if being haunted by something. A woman who has considered killing herself like so many of her friends. Mental illness, while being extensively researched, is still a bit of a black box. The nature-nurture debate is an ongoing debate that doesn’t seem to have a clear cut answer to the question of how mental illnesses come to exist. I know it’s a very individual process and not one person is the same. Furthermore, there are many biological processes that can play a role in the development of mental illness, as well as things like (teenage) substance abuse that can changes one’s brain chemistry. But prolonged physical and/or mental abuse can do that too. The problem is that the label of mental illness has too much stigma to it. When people think of a person with a borderline personality disorder, they think of a crazy person, as if that person has done something wrong, while most of the time that person has been a victim of childhood abuse in some way. So I’d like to advocate to drop the label or call an illness by its proper name such as “childhood abuse disorder”, or “lack of proper nourishment”. This will help relieve people of the stigma that comes with a disorder and also provide more room for growth. Some famous people have opened up in the last years about their “mental illnesses”, such as Prince Harry, The Rock, Trevor Noah, Jim Carrey and many others, so it’s clear that with the right kind of nourishment and circumstances, people with a history of abuse can flourish. Let’s start to fix the environment too instead of just focusing on changing the individual. Change must go beyond what one person is capable of. Let’s, for starters, stop stigmatizing people with a so-called “disorder”. Let’s change the mental health care system so that proper treatment and help becomes available in all layers of society. Let’s focus less on diagnoses but more on what an individual needs to thrive. And, foremost, let’s look each other in the eye and admit that we are all “disordered” in some way, say something that would make the whole thing much lighter and less alienating. We are all social creatures and, as much as individualism has given us freedom, we still need each other too. Excluding or shaming people is not helpful and we all deserve to flourish as human beings – disordered or not. Let’s create a society that promotes healing for all its inhabitants, because when a flower doesn’t bloom, you fix its environment, not the flower.